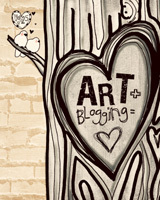 Home » Art Updates » How Do You Express Yourself Creatively? 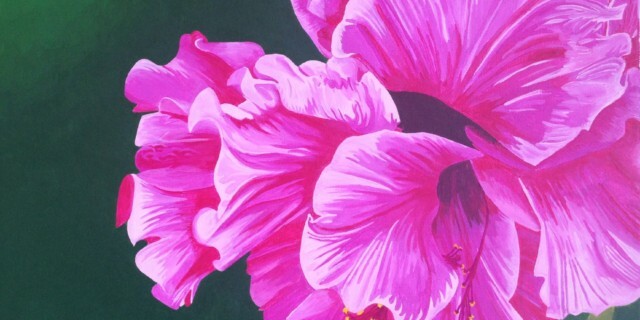 I’m excited to showcase my latest painting of a hibiscus flower. I started this painting when I had some extra time in the house (read: I broke my big toe so I quickly had a lot of time on my hands). One night, I was watching a TV show that showcased Scott Jacobs, a very successful American artist. Him and his daughter were disguised and dropped in an impoverished community where they volunteered at various charities and organizations and later chose to surprise those organizations with donations at the end of the show. It was a great contribution on their part. One of the organizations was a place for children to come and make art. This organization touched Scott closely and well as myself. It was through Scott and this show that I decided to really take out my paints again…to create a piece of art I like and to ensure that painting becomes a regular part of my life. It inspired not only this painting but this website I created to ensure that I am creatively expressed through art in this world. So for that, I thank you, Scott. 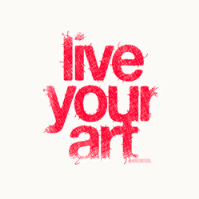 What are you passionate about and what can you do to express it fully?